(Natural News) Everyone knows spinach is good for you – or is it? According to the most recent tests conducted by the U.S. Department of Agriculture (USDA), about three-fourths of all non-organically grown spinach is contaminated with traces of toxic chemicals, one of which is banned in Europe. The USDA analyzed 642 samples of conventionally grown spinach and found 7.1 pesticides on average on each. The worst sample of the bunch was found to have 18 different types of pesticides. Of the samples, 16 contained concentrations of toxic chemicals that exceeded the residue limits set by the Environmental Protection Agency (EPA). Eighty-three of the samples contained pesticides not allowed for use on spinach. These recent tests (conducted in 2015 and 2016) reveal that since the tests performed by the USDA in 2008 and 2009, the rate of contamination of conventionally grown spinach has grown significantly. In fact, the leafy vegetable yielded far more pesticide by weight compared to all other vegetables that the department tested. These findings put spinach on second place in the Dirty Dozen, a list of the most contaminated foods compiled by the Environmental Working Group. Previously on number eight, spinach was second only to strawberries – the vegetable contained more pesticides than all the rest of the items in the list. Among the chemicals found in the test, the most residue came from four chemicals – three of which were fungicides and one was a particularly toxic insecticide. The fungicides, mandipropam, fluopicolide, and ametoctradin, were noted to have appeared in the test for the first time. The insecticide, permethrin, is banned in Europe. Skin contact causes itching and burning. Ingesting it or breathing its fumes causes headaches, vomiting, abdominal pain, nausea, and difficulty breathing. In high concentrations, permethrin is neurotoxic and causes seizures and tremors. Some studies even link this toxic chemical to an increased risk of children developing attention deficit and hyperactivity disorder (ADHD). And yet permethrin is widely used not just on food crops, but also on ornamental plants. It is also used in mosquito control programs. The chemical is used directly on humans as a treatment for scabies and lice. 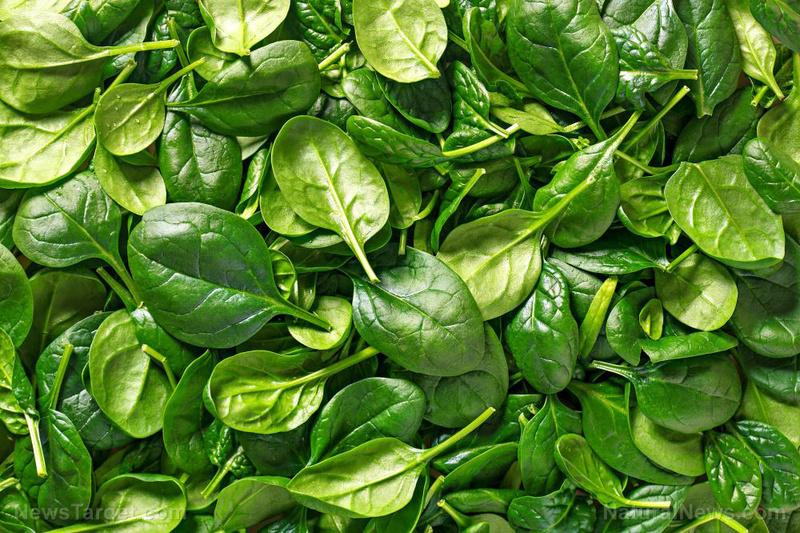 What are the health benefits of spinach? Considering the risks associated with consuming conventionally farmed spinach, it’s best to settle for organically grown vegetables. Spinach grown in organic farms do not make contact with toxic pesticides and as a result, are not contaminated with chemicals that harm one’s health. It’s highly nutritious – Spinach is practically a superfood. It contains vitamins A, B, and C, as well as a bunch of important minerals like iron and calcium. It also has an abundance of antioxidants, such as eye-friendly lutein and zeaxanthin, as well as anti-inflammatory quercetin. It fights oxidative stress – Oxidative stress occurs when free radicals build up inside the body. Left unaddressed, it can be the cause of a number of health conditions ranging from premature aging to neurodegenerative disease. The antioxidants in spinach help fight oxidative stress and its harmful effects. It promotes eye health – As mentioned, spinach contains lutein and zeaxanthin. These phytochemicals help lower the risk of macular degeneration and cataracts – leading causes of blindness worldwide. The presence of vitamins A and C also help maintain proper eye function. It has anti-cancer effects – Spinach contains compounds that help slow down the growth of cancer. Studies have also found it beneficial against cervical and prostate cancer. It lowers blood pressure – The nitrates in spinach have been found to help regulate blood pressure. Discover the many benefits of eating spinach at Veggie.news.